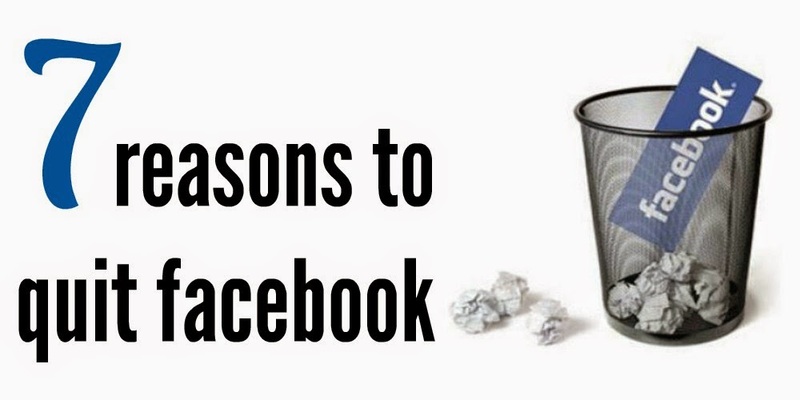 7 Reasons to Quit Facebook. For the past 100 years or so, there had been huge improvements in communication. From letters to telephone calls, from telephone calls to text messages, from texts to video calls and from to videos to social network and on and on. Following all these improvements, one of the biggest inventions of the 21st century was founded in 2004 and since then it started to spread like an eruption, first in the US and then around the world. It's estimated that the average casual user who has been active on the site for 10 years has wasted upwards of 40 entire days of their lives scrolling and liking and commenting on pictures and posts. And more engaged users, who spend at least an hour a day on the site, have clocked 150 days feeding the Facebook beast during the same time. Think about how long you spend on the site each day, and what else could be a more productive use of your time. By seeing someone else’s continuous posts about the parties they went to or friends they see frequently, you might feel insecure about yourself and even feel as a loser if your own posts are not as cool as the ones in your news feed. However, there is rarely such a thing as going out every day or having lots of companionships to meet every day. Moreover, sharing every moment of your life is also not a moral imperative, since being private is quite a benchmark. The average adult has 338 friends on Facebook and probably doesn't know more than 10 percent of them anymore, or at all. Many of them likely have new lives, some have new last names, new passions, new facial hair, and new humans they're now responsible for keeping alive. These are not the friends you knew, and semi-casually keeping up with them is a waste of time that could be better spent with new, real friends. In 2012, the site manipulated posts from 689,000 accounts without consent in an experiment that examined whether or not it could affect your emotions by making a few edits on your page. The study was done, according to Facebook, to "improve our services and to make the content people see on Facebook as relevant and engaging as possible." Skeptics think it was really used to discover the monetary benefit of a Like. COO Sheryl Sandberg later apologized, adding that they "never meant to upset you." 5. Facebook damages your communication skills. When is the last time you actually hung out in real life with your friends, relatives or colleagues? Because of the social media that is supposed to help us communicate, we forget about real communication, and therefore, have difficulties communicating effectively which negatively affects our relationship at home, at work or anywhere else really. 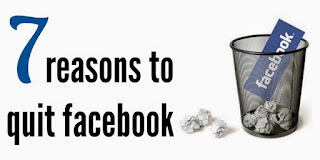 Facebook isn't just a harmless website dedicated to indexing your vacations, poor wardrobe choices, and myopic thoughts on sporting events, it can actually do you harm. Studies hint that it can impact your immune system and inhibit the release of growth hormones, impair digestion and vision, limit thinking and kill creativity, and affect sleep patterns and happiness. 7. "But I Don't Care About Privacy"
Fair. That's your right. But the problem is that we're setting an example for the future without yet understanding how it will affect the free and open Web, and simultaneously creating the internet that relies on you having a Facebook account to access sites that are not Facebook. As one of nearly 1.2 billion users to date, odds are decent that your account won't be hacked by someone with ill-will toward your family. That doesn't mean that permitting easy access to your information goes without consequence, both immediately and decades from now.